Испанский Jazz Лэйбл, принадлежит компании Disconforme Sl, (зарегистрирован в Андорре). Для настоящих ценителей истинного джаза представляет несомненный интерес. Диски отличаются полнотой материала, прекрасным качеством записи (High Resolution 24bit Edition). Лично я предпочитаю диски этого лэйбла и лэйбла Definitive с записями "золотого фонда" джаза всем остальным. Цена дисков такого уровня качества очень низкая (ориентировочно 10у.е. в Москве). 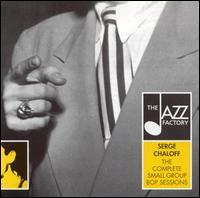 JFCD 22807 CHALOFF, SERGE COMPLETE SMALL GROUP BOP SESSIONS 30/03/02 Complete first recordings made in 1946-49. 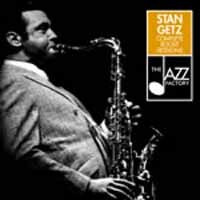 Includes rare duets with Rollins Griffith, the dates for Dial label with Sonny Berman, Chuck Wayne and others, three sessions with Red Rodney for the Savoy and Futurama labels, and two titles by his septet with Charlie Mariano. JFCD 22845 CLARKE, KENNY 1946-1950 SWING MASTER TAKES 30/03/02 All the recordings cut for the French independent label by the Father of modern drumming. Only master takes. JFCD 22849 CLOONEY, ROSEMARY COMPLETE 1950-1952 COLUMBIA MASTER TAKES 22/02/03 This outstanding release includes, among others, vocal duets with Frank Sinatra, novelty duets with Marlene Dietrich, covers of standards alongside trumpet star Harry James ( In The Cool, Cool, Cool Of The Evening , It Might As Well Be Spring ...) and the original versions of current novelty tunes ( Mambo Italiano ...) accompanied by an orchestra conducted by Percy Faith. Includes Booklet with comprehensive notes. Carefully Re-mastered in 20-bit. 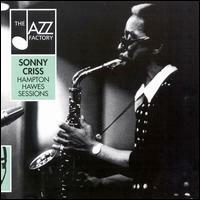 JFCD 22813 CRISS, SONNY MEMORIAL ALBUM 30/03/02 The most significant first recorded sessions made by a forgotten and unfortunate westcoaster Sonny Criss. 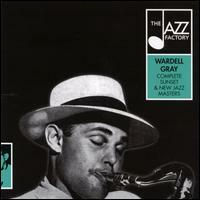 Among his colleagues Wardell Gray, Russ Freeman, Barney Kessel, Howard Mc Ghee, Teddy Edwards and others. JFCD 22846 DAY, DORIS COMPLETE RECORDINGS WITH LES BROWN ORCHESTRA 31/03/02 2-CD: All the swinging sides cut by the popular vocalists. Only master takes. JFCD 22851 DONALDSON, LOU COMPLETE 1952 BLUE NOTE 22/02/03 This release features Lou Donaldson in four separate all-star line-ups with: A. the Modern Jazz Quartet; B. Thelonious Monk Quartet (with K. Dorham, N. Boyd & M. Roach); C. Horace Silver Quartet (G. Ramey, A. Taylor); D. Horace Silver Quintet (Blue Mitchell, P. Heath & A. Blakey).High Resolution - 24Bit Edition. 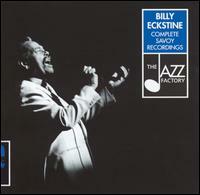 JFCD 22821 ECKSTINE, BILLY COMPLETE SAVOY RECORDINGS 30/03/02 2-CD: All the sessions of the great ballad voice of the bop years for the legendary label. JFCD 22803 EVANS, GIL REAL BIRTH OF THE COOL; TRANSCRIPTION RECORDINGS 1946-1947 30/03/02 Featuring his arrangements for Claude Thornhill and his orchestra with Lee Konitz. More quintessential masterpieces of Gil Evans played by the Claude Thornhill Orchestra in the late forties with, among others, young altoist Lee Konitz and singer Fran Warren. Includes only transciption versions. 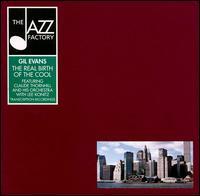 JFCD 22801 EVANS, GIL THE REAL BITH OF THE COOL 30/03/02 Featuring Claude Thornhill and his orchestra with Lee Konitz. Quintessential edition of the legendary Gil Evans arrangements for the Claude Thornhill Orchestra in the late forties with young altoist Lee Konitz and singer Fran Warren. Includes only studio versions. JFCD 22802 FRUSCELLA, TONY A NIGHT AT THE OPEN DOOR 30/03/02 Tony Fruscella - Trumpet; Brew Moore - Tenor Saxophone; Bill Triglia - Piano; Teddy Kotick - Bass; Art Mardigan - Drums. Recorded in New York 1953. JFCD 22805 FRUSCELLA, TONY TONY'S BLUES 30/03/02 The third and final volume of the complete Fruscella's recordings (except a date for Atlantic label) including a session with three saxophones (Geller, Urso and Allen) from 1952, and a concert with Phil Woods from 1955. Includes a live title with Hank Jones in 1955. 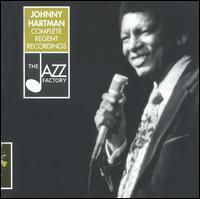 JFCD 22829 HARTMAN, JOHNNY COMPLETE REGENT RECORDINGS 30/03/02 With Dizzy Gillespie, Errol Garner and Others. 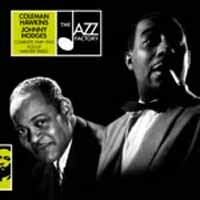 JFCD 22840 HAWKINS, COLEMAN & JOHNNY HODGES COMPLETE 1949-1950 VOGUE MASTER TAKES 30/03/02 Legendary Parisian dates. JFCD 22820 HOLIDAY, BILLIE COMPLETE ORIGINAL AMERICAN COMMODORE RECORDINGS 30/03/02 2-CD: All the masterworks recorded by Lady Day for this legendary small label between 1939 and 1944, with small groups leaded by the great Eddie Heywood and others. Newly remastered. 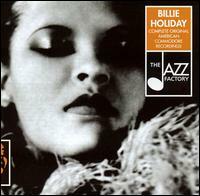 JFCD 22817 HOLIDAY, BILLIE SINGS BILLIE HOLIDAY SONGBOOK 30/03/02 All the songs composed and recorded by Billie Holiday at her greatest years. Accompanied by giants of jazz as Artie Shaw, Lester Young, Ben Webster, Coleman Hawkins, Wardell Gray, Count Basie and others. JFCD 22818 HOLIDAY, BILLIE SINGS GREAT AMERICAN SONGBOOKS: Gershwin / Kern / Porter / Berlin 30/03/02 Historical interpretations of all immortal standards composed by four of the great Tin Pan Alley writers George Geshwin, Jerome Kern, Cole Porter and Irving Berlin. Newly remastered. 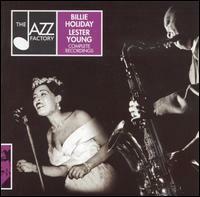 JFCD 22832 HOLIDAY, BILLIE & LESTER YOUNG COMPLETE RECORDINGS 30/03/02 2-CD: Includes comprehensive booklet with complete lyrics. JFCD 22844 HUMES, HELEN COMPLETE 1927-1950 STUDIO RECORDINGS 30/03/02 3-CD: The leading sessions made by Miss Million Dollar Secret. Only master takes. 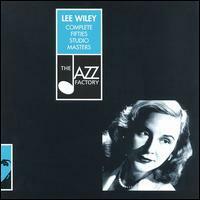 JFCD 22852 KELLY TRIO, WYNTON COMPLETE BLUE NOTE STUDIO TRIO SESSIONS 23/02/03 This edition gathers all the sides recorded by Kelly fronting his own trio for Blue Note in 1951. In these early standard - oriented sessions Kelly stands clearly as one of the greatest pianists of all. With Oscar Pettiford, Lee Abrams. High Resolution. 24-Bit Edition. JFCD 22861 KONITZ/BAKER/MULLIGAN COMPLETE 1953 HAIG CLUB PERFORMANCE 23/08/03 The complete live performance recordings of the Gerry Mulligan/Chet Baker quartet in collaboration with Lee Konitz in 1953, short before Mulligan s arrest. With Chico Hamilton and Bob Whitlock. Careful Audio Restoration. 20-Bit Remastering. 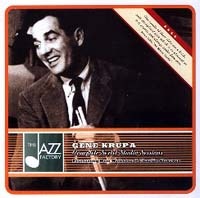 JFCD 22859 KRUPA, GENE COMPLETE SEXTET STUDIO SESSIONS 10/05/04 Charlie Smith - Trumpet; Teddy Wilson - Piano; Steve Jordan - Guitar; Israel Crosby - Bass; Gene Krupa - Drums; Bill Harris - Trombone; Ben Webster - Tenor Saxophone; Herb Ellis - Guitar; Eddie Lockjaw Davis - Tenor Saxophone. Recorded 1953-1954. JFCD 22822 LEE, PEGGY COMPLETE CAPITOL SMALL GROUP TRANSCRIPTIONS 30/03/02 3-CD: All the rare sessions recorded for the radio stations use. 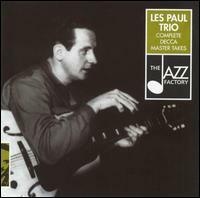 JFCD 22842 LES PAUL TRIO COMPLETE DECCA MASTER TAKES 30/03/02 All the sides waxed for the legendary label by the top-notch guitarist. Only master takes. 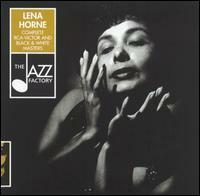 JFCD 22866 MANNE SEPTET, SHELLY WEST COAST SOUNDS 11/10/03 Features Manne s earliest studio sessions as a leader. These 5 dates were recorded between 1951-53. The first 2 dates recorded for Dee Gee label, and the other 3 for Contemporary. 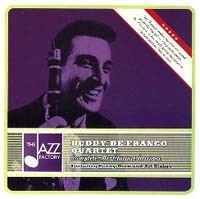 With Conte Candoli, Shorty Rogers, Bud Shank and others. High Resolution 24-Bit edition. JFCD 22825 MINGUS, CHARLES COMPLETE 1945-1949 WEST COAST RECORDINGS 30/03/02 Ultra-rare Californian recordings leading typical postwar small-band format. 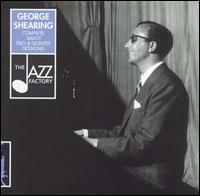 JFCD 22872 MULLIGAN, GERRY & CHET BAKER COMPLETE 1953 STUDIO MASTER TAKES 11/10/03 All of the 1953 Studio Sessions of Mulligan & Baker s piano-less quartet. Only original master takes. Also includes the rare studio performance for GNP label. 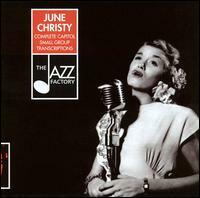 JFCD 22850 O'DAY, ANITA COMPLETE 1952 VERVE SESSIONS 22/02/03 Four sessions are included in this release: a New York, January session featuring Roy Eldridge; a Chicago date with the Roy Kral quintet; a West Coast affair where she performs with the Larry Russell Orchestra; plus as a bonus, an ultrarare and unreleased Capitol transcription registered alongside the Nat Cole Trio in Los Angeles. Includes Booklet with comprehensive notes. Carefully Re-mastered in 24-bit. 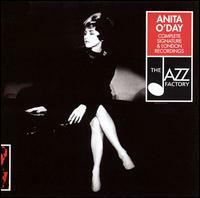 JFCD 22824 O'DAY, ANITA COMPLETE STAN KENTON SIDE, SIGNATURE & LONDON RECORDINGS 30/03/02 2-CD: Legendary recordings by the great torch singer. JFCD 22856 PARKER, CHARLIE COMPLETE JAZZ AT MASSEY HALL 28/06/03 Charlie Parker (as), Dizzy Gillespie (tp), Bud Powell (p), Charles Mingus (b) and Max Roach (dr). Recorded at Massey Hall, Toronto, Canada, May 15, 1953. 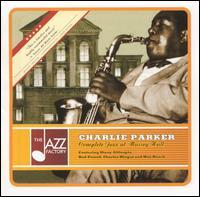 JFCD 22876 PARKER, CHARLIE COMPLETE STORYVILLE PERFORMANCES 17/05/04 In 1952 WHDH began broadcasting shows from Storyville every Tuesday night. When Parker arrived at Storyville in March of 1953, it was no surprise that McLellan was there eagerly waiting to broadcast the Sunday matinee show for his WHDH listeners. JFCD 22847 PEPPER, ART COMPLETE STRAIGHT AHEAD SESSIONS 11/05/02 2-CD: Complete worldwide first issue. JFCD 22835 PEPPER, ART COMPLETE SURF CLUB SESSIONS 30/03/02 2-CD: Featuring Hampton Hawes, Joe Mondragon and Larry Bunker. 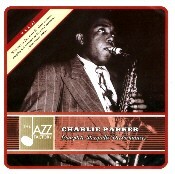 JFCD 22837 POWELL, BUD COMPLETE 1947-1951 BLUE NOTE, ROOST & VERVE SESSIONS 30/03/02 2-CD: All his trio and solo dates for the three legendary labels. 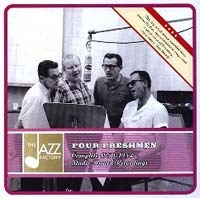 JFCD 22857 SHAVERS, CHARLIE & COLEMAN HAWKINS A FAMOUS JAZZ PARTY 1958 23/08/03 2-CD: Features Red Allen, Pee Wee Russell, Lester Young, Willie The Lion Smith, Sonny Greer, Cootie Williams, Kai Winding, Cannonball Adderley, Rex Stewart, Jo Jones and others. Features 2 different 1958 TV performances, with legendary players as Charlie Shavers, Nat Adderley, Cannonball Adderley, Dickie Wells, Lester Young, Willie The Lion Smith, Vinnie Burke, Sonny Greer. Careful Audio Restoration. 20 Bit Remastering. 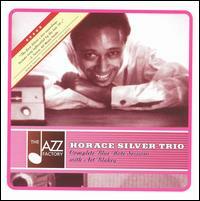 JFCD 22854 SILVER TRIO, HORACE COMPLETE BLUE NOTE SESSIOS WITH ART BLAKEY 28/06/03 Horace Silver (p), Curly Russell (b) or Gene Ramey (b) or Percy Heath (b), Art Blakey (d). Recorded at Wor Studios, NYC, 1953. JFCD 22873 SIMS QUARTET, ZOOT COMPLETE PRESTIGE & VOGUE STUDIO MASTERS 11/10/03 Feat. the comp. collection of Zoot Sims Prestige and Vogue recordings & his debut as a leader. 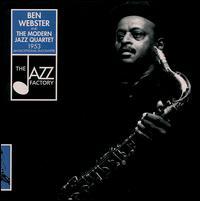 With Gerald Wiggins, Pierre Michelot & Kenny Clarke. Also feature the two first American recording dates by Zoot feat John Lewis & Art Blakey among others. 24-Bit Edition. 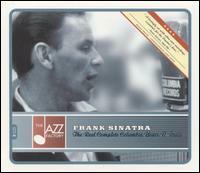 JFCD 22855 SINATRA, FRANK REAL COMPLETE COLUMBIA V-DISC YEARS 29/06/03 3-CD: The previous issue of these sessions (2CD set) is incomplete. This 3CD set is the real complete edition of Sinatra s V-Disc work. High Resolution, 24-Bit Edition. SNS Noise Shaping. JFCD 22843 THOMPSON, LUCKY COMPLETE 1944-1947 STUDIO RECORDINGS 30/03/02 All the less known excellent sides made by the great tenormen in his beginning years. Only master takes. 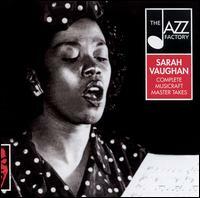 JFCD 22816 VAUGHAN, SARAH COMPLETE MUSICRAFT MASTER TAKES 30/03/02 2-CD: The first recording sessions for the legendary Musicraft label in the late forties. 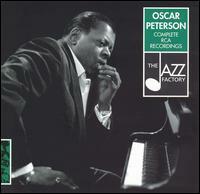 Includes the complete master takes of the session made for Columbia with a small studio group including Miles Davis. Only master takes. JFCD 22841 WASHINGTON, DINAH COMPLETE 1946-1951 EMARCY MASTER TAKES 30/03/02 4-CD: All the early recordings by the passionate vocalist. Only master takes. 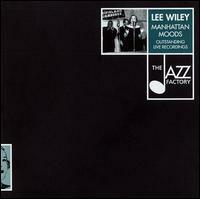 JFCD 22815 WILEY, LEE MANHATTAN MOODS 30/03/02 2-CD: Rare live performances recorded along her career. The perfect complement for our previous issues.